There is a saying among wine aficionados that on the journey to wine understanding, all roads eventually lead to Burgundy. I am not sure I agree with that as my heart seems to be in Italy, but there is no denying the impact that Burgundy has had on the wine world and that some of the most ethereal wine experiences one can have come from Burgundy wines. Many tomes have been written on the subject but the purpose of this article is to give a basic primer on the subject and eventually delve deeper into the Burgundy experience in subsequent articles. Visiting wine country? Buy a Priority Wine Pass today to receive Complimentary and discounted tastings. 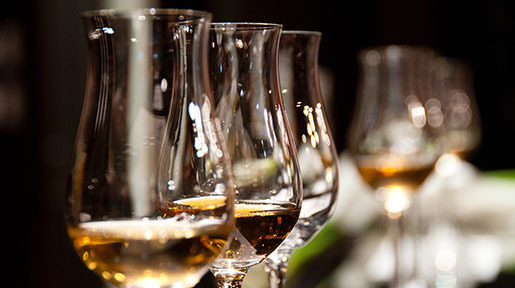 Why spend hundred on tastings when you can taste for less or for free with The Priority Wine Pass. The region of Burgundy is in the central part of eastern France and winds from the town of Auxerre at the northern end to the city of Lyon in the south. The region is usually broken down into sub-regions. The region of Chablis is the northernmost of these. This is home to some of the crispest Chardonnay wines in the world. For more information on this region please read my article Chablis: History & Recommendations for the Great Burgundy White Wine. Further south is the Côte d'Or which means “golden slope”. It is a thin strip of vineyards along a series of sloping hillsides running more or less north-south. Most of the great vineyards in Burgundy are here. The Côte d’Or is divided into two parts. The northern half is called the Cotes de Nuits which starts just south of the city of Dijon and runs a few kilometers past the village of Nuits-Saint-Georges. The best red wines are made in the Cotes de Nuits, in fact, 90% of the grapes grown here are Pinot Noir. Twenty-four of the twenty-five red Grand Cru sites are located here. The southern half of the Cotes d’Or is called the Cotes du Beaune. This is home to the best white wines (with the exception of Chablis). Continuing south is the Cotes du Chalonaise which produces some very good wines and some of the best bargains in Burgundy. Even further south is the Maconnais which is known for easy to drink wines and good prices. At the very southern end of Burgundy is Beaujolais. Beaujolais is technically part of Burgundy but the wines are different and in fact are based on the Gamay grape. Beaujolais deserves an entire article on its own and will not be discussed here. Burgundy has one of the most documented histories of any wine producing region in the world. 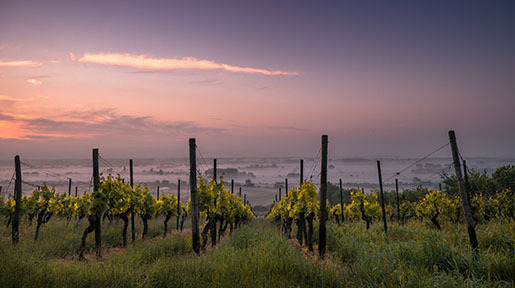 Early evidence suggests the Celts were growing grapes in the first century B.C, but what sets Burgundy apart from many areas is that the early Roman Catholic Church and the monks in particular took an aggressive role in planting and maintaining vineyards. As early as 910, the Benedictines owned large holdings of vineyards. Two hundred years later, the Cistercians were dedicating their monasteries to creating and understanding wine and winemaking. In 1336, Cistercians created a walled vineyard (called a Clos) named Clos de Vougeot that is still producing great wines today. It was the Cistercian’s patience and ethic of paying close attention to detail which first documented that different vineyards, even different parts of the same vineyards, seemed to consistently provide the best grapes and make the best wines. That discovery was to have profound effects in Burgundy and around the world. During the 14th and 15th centuries, the area was ruled by the Dukes of Burgundy. In 1395, Duke Philip the Bold issued a decree that the only red grape allowed to be planted was Pinot Noir. The use of the Gamay grape (used today in Beaujolais) was declared unfit for human consumption. In addition, he forbade the use of manure as a fertilizer as it lessened the quality of the grape. This was most likely due to increased yields which diluted the quality of the wine made. Interestingly, at that time white wines were most likely made from a precursor of Pinot Gris called Fromenteau instead of the Chardonnay that is used today. Over the next few centuries, the political structure in Burgundy changed as did the ownership of the vineyards. First, Burgundy was annexed into the Kingdom of France. As the power of the Church lessened, many of the vineyards were sold. Finally, after the French Revolution, any vineyards remaining in the hands of the Church were taken, often broken up, and sold. At the same time, the Napoleonic code changed inheritance so that all family members shared equally. Thus, when a person died with four children for example, each child received ¼ of the holdings. Vineyard holdings became quite small for some and occasionally a person could find themselves owning just a single row or two of vines in a vineyard. Even more confusing was that many of the owners had the same or similar last names. Up until the 18th century most Burgundy wines were consumed locally, although a good amount made it south to the Rhone, especially when the Pope was seated in Avignon. As roads improved travel, Nègociant houses sprung up. Nègociants bought grapes or sometimes finished or unfinished wine and sold it under the name of the Nègociant. Often the Nègociants would blend batches from different growers and different vineyards to make a finished product. Growers had very little wine to sell, due to their small holdings, and did not have the clout to demand high pricing for their wine. Often they were at the mercy of these Nègociants who became quite powerful and successful. The target market for their wines became the cafés of Paris. Many of the names that are well known today got their start including Louis Jadot, Louis Latour, Joseph Drouhin, Domaine Faively and Bouchard Peres et Fils. A Negociant bottling indicates that it was bottled by the Negociant whereas grower-producers indicate the wine was bottled “a la propriete” or “au domaine”. 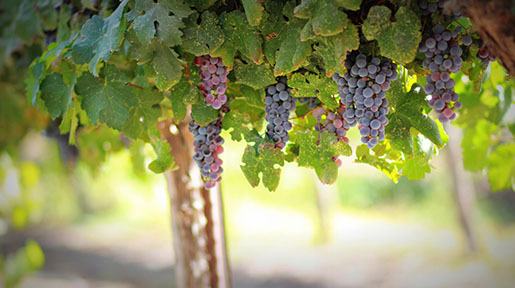 Even today, individual growers control 67% of the vineyards, but produce and market only around 25% of the wine. Burgundy’s reputation grew during the next one hundred years. Although there appears little doubt that the wines were adulterated with wines from the Rhone in weaker years to add color and body, the best vineyards and best bottlings of the Nègociants remained highly sought after. In 1855 Dr. Jules Lavalle published a book on Burgundy rating the vineyards. In 1861, this classification was adopted by the Beaune Committee of Agriculture who created a three tier system for rating the vineyards. In 1936, when the French AOC system was adopted most of the top tier vineyards from the 1861 classification were awarded Grand Cru status. After World War II, the farmers turned to chemicals to improve the soils that had been devastated by war and neglect. Fertilizers seemed like a gift from science to restore the earth’s natural balance. In fact, the 1950’s were a very successful decade for Burgundy. Alas, it proved to be too much of a good thing. As the farmers continued to rely on chemicals, the soil became lifeless. Moreover, much of the fertilizer was based on potassium. The net effect of too much potassium in the soil was reduced acidity levels in the ground and so to, the grapes. Yields increased thanks to the fertilizer. While this was good for cash strapped farmers, whether from manure in the 1300’s or chemical fertilizers in the 1900’s, the result was the wines becoming thin and less concentrated. For many, the wines of the 1970’s and the 1980’s were the low point of Burgundy wines. Fortunately, in the mid-1980’s more growers turned to more natural ways of growing grapes with many adopting organic or bio-dynamic methods. Burgundy has a continental climate. The winters get cold and the summers can be very hot. There is always the possibility of hail and rain. 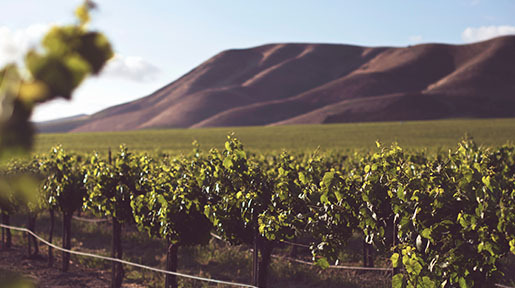 There are more than 70,000 acres under vine. The sub region of the Cote du Nuits has about 4,200 acres while the Cotes du Beaune has about 8,900 acres. Almost all of the red grapes are Pinot Noir although there is some Gamay grown in Beaujolais and other places. Pinot Noir is a fickle grape that can excel in Burgundy’s cool climate, but only in those vintages where nature provides enough heat over an extended period to fully ripen the grapes while it is dry enough, or windy enough, to keep rot away. As for white wines, those are made predominantly from the Chardonnay grape. There is a wine called Bouzeron which is made from Aligote and some Sauvignon Blanc is also grown in St. Bris. It is, however, the reds from Pinot Noir and the whites from Chardonnay that have given Burgundy its exalted status. Ask a true Burgundy aficionado and they will tell you it is not just the grapes. After all, these grapes are grown all over the world. Rather, it is the French concept of terroir. There is no English translation for this word. It is the concept that the specific site where the grapes are grown is what gives the wine its soul. The soil, the wind, the slope of the hill, and almost everything else about the site, except perhaps climate, combines to form its terroir. As weather changes from year to year, terroir is not defined by all aspects of climate. It is this terroir that allows tasters of these wines to recognize the individual aspects of a given piece of land and be able to identify them across different vintages and different producers. I often speak of a wine having a sense of place. Terroir is something different, something even more precise. While a wine may speak of Napa, or Oregon, or even Burgundy, terroir goes to specific vineyards and specific parts of vineyards. A certain producer may have a few rows in a vineyard and the wine made from it may taste different from wine made from grapes picked a few feet away. Why? It can be the way it was made, but it is often just the change in soil, the way the sun hits those rows, the microbial life in the earth, in short the terroir. In fact, most Burgundy wines have the producer’s name listed at the bottom while the source of the grapes is written in larger letters at the top of the label. Remember back to the 1855 classification of the vineyards? It is interesting to note that in 1855, Bordeaux was also classified but that rating system was for the Chateaus and not the vineyards as in Burgundy. Burgundy today has more Appellation d’Originale Controlee (the French governmental agency that controls the rules for making and labeling wine), than any other region of France, 150 in all including Chablis and Beaujolais. There are also Villages and named vineyards, called lieux-dits that have not been recognized with AOC Grand or Premier Cru status. The combination of these different geographical terms creates over five hundred separate AOC label designations. As was said earlier, the monks tending these vineyards had the time and the patience to watch and pay attention to which areas grew the grapes that created the best wines. They noticed that the best grapes grew in certain areas on the hillsides, usually the middle or slightly higher on the hillsides which provide good drainage yet are protected from the winds and from the slopes with the best exposures, usually facing south. The best vineyards are classified as Grand Crus. Grand Cru wines account for about one percent of all wines made in Burgundy. The wine label will simply indicate the name of the Grand Cru vineyard. The consumer is expected to know where in Burgundy this vineyard is as the label will not indicate the village near which this vineyard is located. Premier Crus (often abbreviated as 1er Cru) are specific vineyard sites that are not as good, but still of a high quality. Wines made from Premier Cru vineyards account for about 11% of all wines. It should be noted that some wines carry 1er Cru status under the French AOC laws, but are not from a specific vineyard. Rather, these are a blend of 1er Cru (and sometimes even Grand Cru) vineyards. The label will indicate the AOC villages name where the vineyard(s) are located or when the wine encompasses wines from more than one village, the smallest encompassing area for the vineyards. The next level “down” in quality are the village wines. These tend to be from the flatter areas or less worthy vineyards. Truth be told, many village wines are as good or better than Premier Cru wines because they are from different producers or better vintages. Village wines account for 23% of all wines from Burgundy. The label will indicate the name of the AOC village where the wine was made. Then there are the sub-region wines. These are wines labeled by the sub-region from which the grapes come from. For example, the label may say Cotes de Nuits Villages meaning the grapes came from somewhere within that sub-region. And finally, a wine may be labeled as Appellation Bourgogne Controlee meaning the wine is made from grapes grown somewhere in Burgundy. That is not to say a simple Bourgogne is bad or even inexpensive. From a better producer in a great vintage, these wines can easily cost $50 a bottle of more and can be worth it. So how do you choose a wine? The first thing a consumer needs to know is that despite Burgundy’s often high prices, price is not an indication of quality. More than perhaps anywhere else, in Burgundy, it is all about producer. There can be a huge difference between the quality of wines between producers using the same vineyards and in the same vintage. Future articles will explore the sub-regions of Burgundy in more detail, but for it is worth noting some of the better producers. No producer has more cache than Domain de la Romane Conti (DRC). This venerable producer makes a variety of Grand Cru wines and also some Premier Cru’s. Their top bottling is from the eponymous vineyard Romanee Conti and sells for thousands of dollars a bottle. One of the part owners of DRC as it is called is Madame Bize-Leroy. Her Leroy wines are made from both owned and purchased grapes and fetch near DRC like prices. Other producers to look for include Domaine Dujac, Dennis Mortet, Dugat Py, Anne Gros, Dominique Laurent and many others. In terms of vintage, please refer to our Red Burgundy Vintage Chart or our White Burgundy Vintage Chart. Burgundy is often referred to as a minefield. There are so many expensive bottlings and many of them leave the consumer feeling unrewarded. Part of the problem is that when Burgundy is good, it can be ethereal. It can provide those wine drinking experiences that few places on earth can. Yet, once someone has had this familiarity, the chase and hunt to recreate it can be frustrating and expensive. For any true wine lover, however, it is a hunt worth taking. In future articles I will examine some of the sub-regions in more detail and provide some specific suggestions. In the meantime, look for any 2005 vintage wines on your local shelves. There were some duds in this vintage, but for the most part this was a great vintage top to bottom. And the bottom is where I would start. Look for wines labeled Bourgogne. These should be affordable and drinking well now. Pay attention to those producers whom you like and consider buying some of their better bottlings. One caveat, the better 2005’s are not drinking well right now and need to spend time in a cool wine cellar. If you have some patience, pick a few of those up too! Loren Sonkin is an IntoWine.com Featured Contributor and the Founder/Winemaker at Sonkin Cellars. If you are a wine lover, wine connoisseur, wine aficionado or even if you just like to have a couple of glasses on a Friday night, it soon becomes obvious that there are some wines that are held in a higher esteem in the wine world. Sometimes, it is because these wines are very rare. Other times, it’s because the wine has a place in history. Sometimes it’s because the wine is just that good. Here is a list of 75 wines from France that make up that category. A few caveats. I have not tried every wine on this list. Some I have and others I hope to. Many of these wines are rare and hard to find. That doesn’t mean they shouldn’t be on the list. After all, if the opportunity presents itself, go for it. France's Burgundy Wine Region: A Primer on the History, Wines, Vineyards & Terroir contains an excellent introduction into the ethereal wine of one of the most famous wine producing regions. No winery is more famous, or produces such legendary wines in Burgundy than Domaine de la Romanée-Conti. Often abbreviated as DRC, the winery makes some of the most exclusive and expensive wines in the world. They are, for those lucky enough to have tried them, the pinnacle of Pinot Noir and Chardonnay.